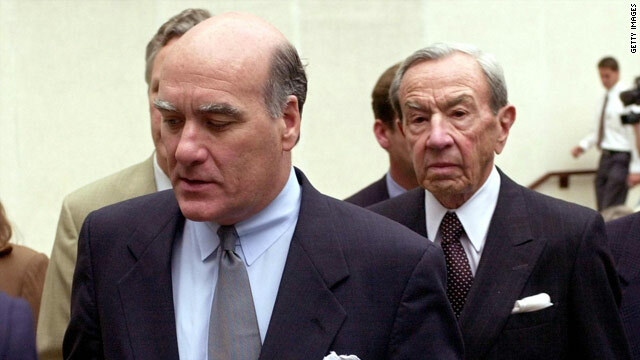 Washington (CNN) – The U.S. Chamber of Commerce is a fan of Bill Daley. The president of the pro-business group that spent millions on behalf of Republican candidates last year called Obama's decision to name the current J.P. Morgan banker as his chief of staff a "strong appointment." "Bill Daley is a man of stature and extraordinary experience in government, business, trade negotiations, and global affairs," said Thomas J. Donahue. "He's an accomplished manager and strong leader. We look forward to working with him to accelerate our recovery, grow the economy, create jobs, and tackle America's global challenges." Obama is set to speak before the organization early next month. He derided the group in October, accusing it of skirting campaign finance rules to hide the identity of its donors. Head of JP Morgan to be Chief of Staff? I'm very disappointed. First, that a Democrat would appoint someone so obviously pro-big-business. Second, that he would have someone from the Financial sector – and a failed company that had to be bailed out – as his chief of staff. I'm not surprised that Wall Street likes it, but I don't. Chamber of Commerce is another one of many institutions that is so corrupt it should be investigated. Folks they are not on your side. Never will be. 2000 rule and 6 billion follow. Odds look good to me for a change to happen. Nothing like turning the keys over to Wall Street Mr. President. I would have hoped that at least you, who admirably helped clean up the mess from the last Wall Street pig fest, would have the wisdom to keep the foxes out of the hen house. I guess everyone is buying into the GOP mantra, that they stole from Gordeon Gecko – "Greed is Good". Or maybe we should change that to read "Greed is their God." Lobbyist home turf now is in the Congress. wow!! Just wow Obama. I'm speechless after finding out how weak you are. You are no different that all the so called insiders in the politics of this country. You are a ruthless politician and I hate to say that I fell for your thetoric of change and all..!! Good pick. The bottom line is that this country needs jobs. We need companies to start hiring and if his pick makes companies open up their trillion dollar purses and start investing in this country again then we all need to congratulate Obama on his new chief of staff. To Phil in KC: You post but know not what you speak of my friend. This was a great choice but you have to wait further to get your comments organized – meaning when Glenn Beck tells you what's wrong with him, you'll be back to mimic that, too. Must feel great to have the pressure to make up your own mind out of your hands, eh? Phil in KC, what is your problem with someone who is pro-big-business? Is big business a bad thing? Why is that? I mean, I'm all for small businesses but can't understand why an American would be anti-big-business. Yes very disappointing. If I wanted another Big $ sell-out that likes NAFTA and shipping our jobs to 3rd world sweatshops, I would have voted for McCain or Billary. Come on Obama – stop trying to be like Clinton or the turncoat Republican creeps. And here comes all the typical anti business posts. Yes, god forbid he appoints someone who is pro-business. You know, those pesky organizations that write the paychecks we don't have to tax to cover. I'm sure the U.S.Chamber of Commerce's position will chance as soon as one of it's major donors decides it's time for another media hit job on the Obama administration. As they say (especially in the current Supreme Court), money talks. Another old out of touch Wall Street Millionaire, Thanks Obama. It's the economy, stupid! Pure genious on Obama's part. @ Phil in NC: "Head of JP Morgan to be Chief of Staff? I'm very disappointed." While I completely understand the disappointment, Phil, I have to say that I think this is a very smart political move on President Obama's part. I believe it is imperitive that this president be re-elected in 2012 because if he doesn't we will have Republicans driving us back over the cliff we have just (narrowly) escaped from. A Republican President and a Republican controlled Congress in 2012 (or any other year for that matter) would spell total disaster for the working class of this country. We may have to hold our noses on this one for the greater good it may do. I can see the Faux news watchers getting whip lash with this one. First, he's a Chicago thug...a liberal socialist just like the rest. But wait...the Chamber of Commerce (our gods) come out and applaud the appointment. They like him??? Oh, no...what to think??? Someone please tell these people what to think! Is he good or bad? You know how they hate any sort of uncertainty or gray area. And the Rothchilds are one step closer to being the direct power behind the throne in this country. If the Chamber of Commerce is pleased then the appointment cannot be a good thing for the average American. Wow, who knew that on 11/2 we also voted in a new Republican President! Wake up America, the US is now a wholly owned subsidiary of GS, other big financial companies, and a predatory group of faceless billionaires.